Manchester United did not have it all easy on Saturday against Southampton, but in the end they got the three points they wanted so badly. After a 3-1 win against Crystal Palace in midweek, it was three goals scored once again, as United fought back to win it 3-2 against the team they previously drew 2-2 in a poor match. Back then, it was Jose Mourinho overseeing things. This time, Ole Gunnar Solskjaer was at the wheel, guiding the Devils to their 12th Premier League match without a loss, ever since that fateful 3-1 beating to Liverpool in mid-December 2018. So, what did we learn from this exciting match after looking at underlying numbers? There are some interesting things to mention. When you have a match with five goals and four of them are absolute stunners, then it is expected to make it look like expected goals model is broken. And that is what Southampton’s xG of 0.58 is pointing us to, as they were not even expected to score once at Old Trafford the other day, but in the end it was two goals that could have cost United some points. But then, looking at goals Valery and James Ward-Prowse scored, Man United were truly unlucky to conceded twice. First it was the Frenchman with a stunningly powerful shot who got past David De Gea, before Ward-Prowse added another one after a brilliant free-kick. The score might something different, but generally speaking, United’s defence was very good on the day. 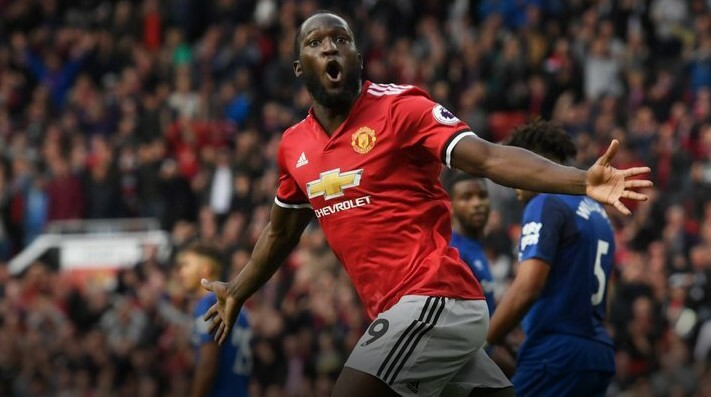 It seems like Romelu Lukaku does not like the expected goals model either. The Belgian scored two goals to earn a man-of-the-match award and get United to crucial three points, just days after scoring a brace against Palace. But this time his goals were so beautifully taken from tough positions that the xG model did not rate them highly. And that was expected. Take into account Lukaku’s second goal, a long range shot with plenty of defenders between him and the goal, and it is easy to see why Understat rated that shot as 0.05 xG. Add to that Lukaku’s big chances from six or seven yards out and you see why Lukaku “does not like xG”. His chance in the fourth minute was 0.58 xG and the one after 35 minutes at 0.40. Basically, one of those two shots had to go in. But it did not. That is the beauty of it all, as Lukaku redeemed himself with two lovely goals. Nathan Redmond was never mentioned in a positive way this time, but it is easy to see why. So many beautiful goals and glaringly good performances and the Englishman’s tireless performance was a bit overlooked. The winger had two key passes on the day, made three tackles, the second most touches of all Southampton players and constantly tried to create something by dribbling past opponents. Not that he produced anything this time, but he looked more lively than usual.